What can we expect from The Suffolk Walking Festival's new fringe programme? I once read an article about the benefits to children of being in the countryside. The start of the article threw me slightly. It said walk was a four-letter word, a word to avoid. Never tell a child we’re going for a walk. Instead, say something else. “Let’s go on a treasure hunt”, “Who wants to see the seals?”, “We must see the view”. It’s the same for many of us. We don’t always want to go for a walk, but once in the countryside we feel so much better. The lure should be something special – a murmuration of starlings, picking wild blackberries, seeing purple heather in late summer. It’s the connection with nature that makes being out and about so special. And this philosophy is at the heart of the Suffolk Walking Festival Fringe, a series of events that speak of Twilight Safaris, learning poetry in a Labyrinth, and gathering a hedgerow cream tea. And there’s no mention of a walk! “It was a Praktica. I remember it well”. Phil Morley, Suffolk born and bred professional photographer (www.phil-morley.co.uk), is telling me about his first camera. Phil’s leading a series of Fringe events titled Iconic Images, each one focusing on a special location. “I remember being the one who took all the family photos on holiday. I was only 13, but my love of photography grew from there. When I got that SLR camera it was built like a brick, not at all like today’s cameras, but I loved it.” Phil has spent a career behind the lens. Working for newspapers, on private commissions and teaching, he enthuses about photography. His most recent commission was a cookbook featuring the county’s top chefs, titled Suffolk Feast. His work is a feast for the eyes. Phil’s passion for photography extends to teaching at West Suffolk College and running a weekend photo club at his local school, teaching photography to 13-year-olds. Perhaps one of them will become the next Ansel Adams, or even the next Phil Morley? Iconic Images – Southwold Icons, at Southwold Pier, Sunday May 13. Industrial Heritage, at Mid Suffolk Light Railway, Sunday May 20. Brecks Landscapes, at West Stow Country Park, Saturday May 26. Tickets £15. Kate was the ranger at Landguard Point. Her home was a squat little brick cottage tucked into the shingle beach. It was a perfect location, living amongst the pebbles and the treasures. “Living and working there I realised, that by slowing down and looking closely, how much there was to see. I found fossils, sharks’ teeth and bones.” We chat about the impact of the recent Blue Planet series. 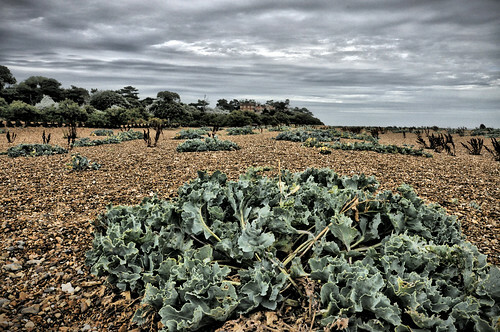 Beachcombing for Beginners at Bawdsey, Sundays May 20 and June 3. Tickets £20, includes homemade cake and free parking. Carole (www.carolemassey.com) has always been an artist. “It was my best subject at school,” she tells me. She went on to study sculpture, pottery and graphic design at St Albans and then at Leicester School of Art. “I had great tutors who were well known artists and they really inspired me.” She worked in London, freelanced, built up her own graphic design business and then started teaching. She’s had six books published, including Drawing for the Absolute Beginner, and Drawing Portraits. Her painting of Sir Charlie Bean, retired deputy governor of the Bank of England, hangs in the Parlour Room at the Bank. Carole came to Suffolk 18 years ago, initially to Bury St Edmunds and now Leiston. “I love Suffolk. There are lots of artists in the area and the county is very sympathetic to art. The visual arts scene is really strong and there is so much music and culture.” She tells me how much she loves Aldeburgh and has been running art courses in a studio there under the title Art in Aldeburgh. 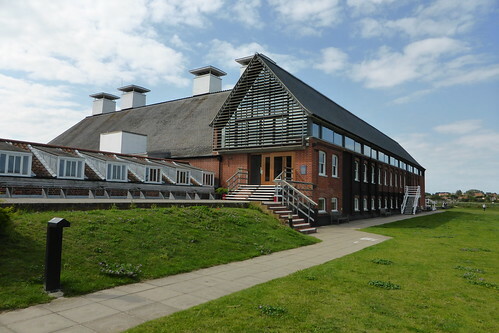 Suffolk Sketchbook, at Snape Maltings, Tuesday May 15. Tickets £35 including materials, refreshments and lunch in the Concert Hall Restaurant.